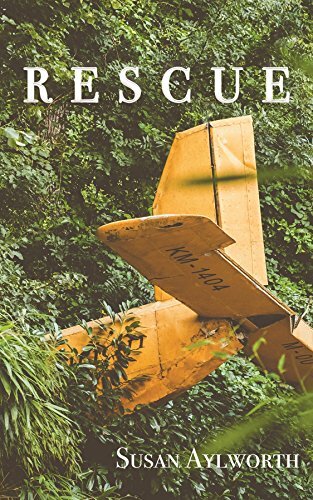 When the plane crashes in the middle of the Amazon jungle, Dulce feels lucky to survive. But as she faces injury, disease, and deadly insects and reptiles, she discovers that the price of living is high. Injured and miles from any civilization, Dulce has no choice but to push her way through a dangerous jungle, looking for any miracle that might come her way. This is a pretty short book - less than 100 pages - so it might be considered a novella. Normally, I don't really enjoy reading novellas because I feel like they aren't long enough to really get into the story. That did not happen with this book. I was drawn into the story right away, and it kept my attention through the entire thing. I kept imagining how I would react if I was in the same situation as Dulce, and sadly, I don't know if I'd do nearly as well as she did. From knowing how to start a fire to finding water and food, to surviving jungle creepy-crawlies and other even larger creatures. (Seriously, just the description of all of those things makes me want to always and forever avoid the jungle.) I might find myself just curling up into a ball. I hope that I would be as strong as Dulce was, but I'm kind of a wimp. I was in awe at Dulce's strength and resilience and her ability to fight through each and every challenge that came her way. I enjoyed this book and would even recommend it to my 13-year-old son, as well as my adult reading friends.